Vintage Divided Back Postcard in Good, Posted (Des Moines & Promise City, Iowa 1912) Condition. 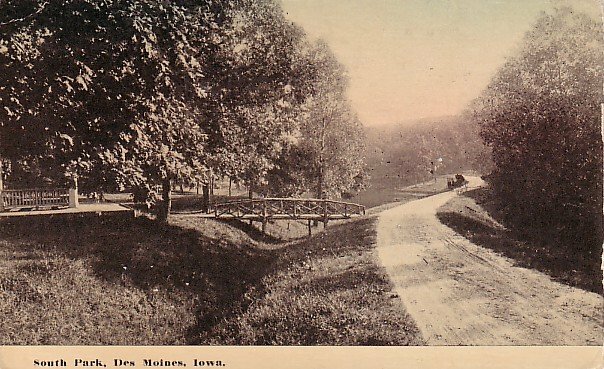 This post card features a rustic wooden bridge at South Park in Des Moines, Iowa. All items we sell come from a non-smoking home and are stored with loving care until they can be sent to their new owners. Individual cards are mailed in a protective archival rigid post card sleeve; multiple cards are mailed in a protective post card album with archival pages. I accept returns if notified within 7 days of receipt of the item. The item must be returned in the same condition as when shipped.